One of the places you will want to see in Bogota is the Cerro Monserrate –or Monserrate Mountain. It is about 10-thousand feet above sea level. 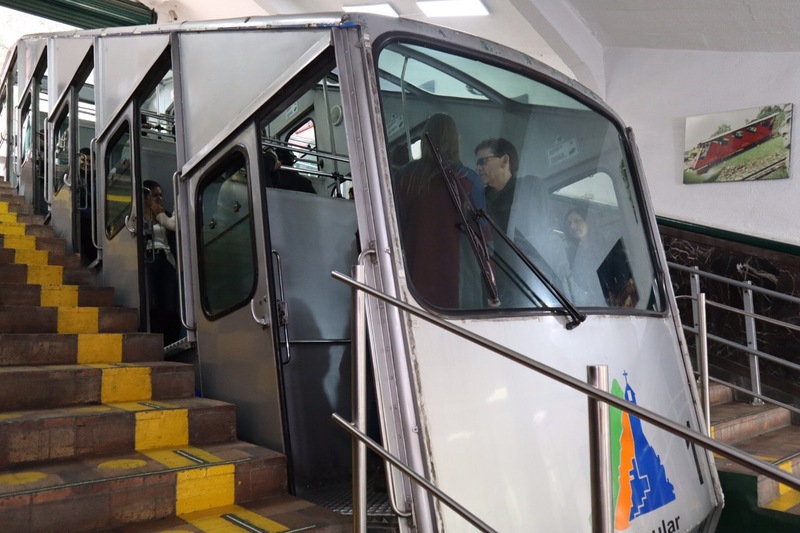 You can take a train —called a funicular in Spanish–to the mountaintop. 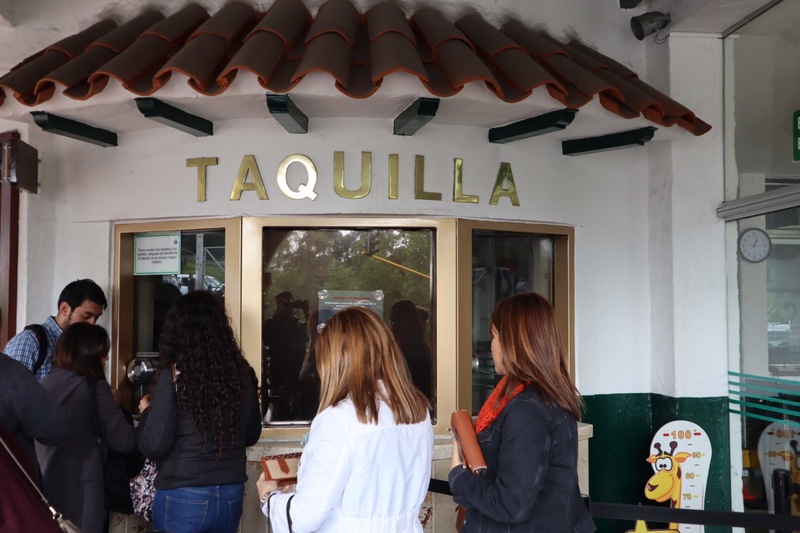 A roundtrip costs 21-thousand pesos Colombians or about seven U-S dollars. 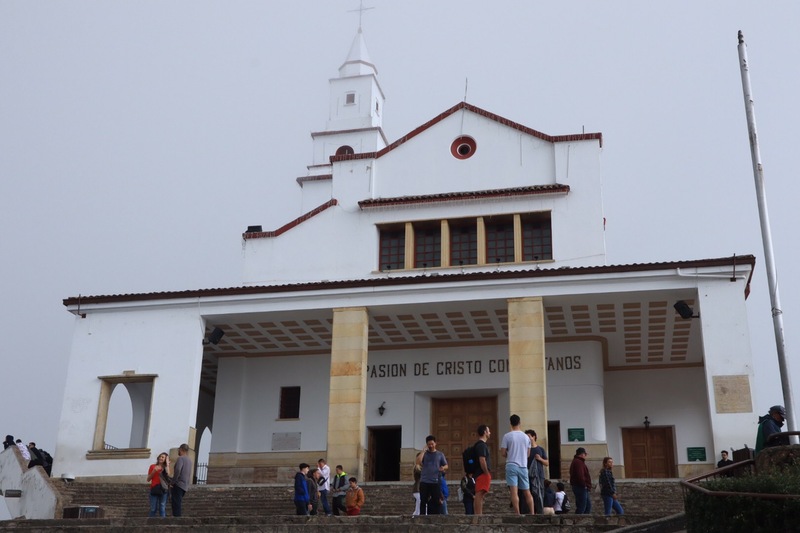 At the top of the mountain, you will find this church –el Santuario Monserrate — a church built in 1915, –where the faithful can still attend mass on Tuesdays through Saturdays. 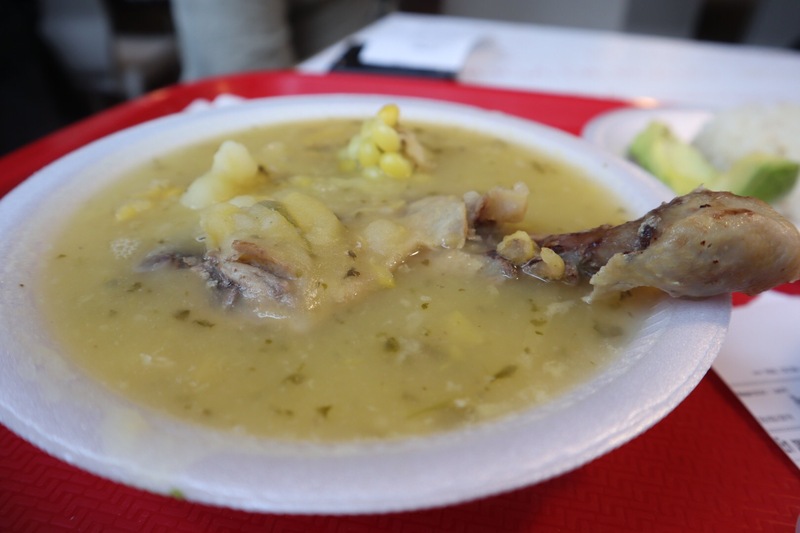 You can also have a snack or eat dinner at one of the many restaurants where you can try ajiaco (pictured here), a traditional stew-like dish often made with chicken, three types of potatoes, and a herb called “guascas” which are often served with a side of capers and sour cream. 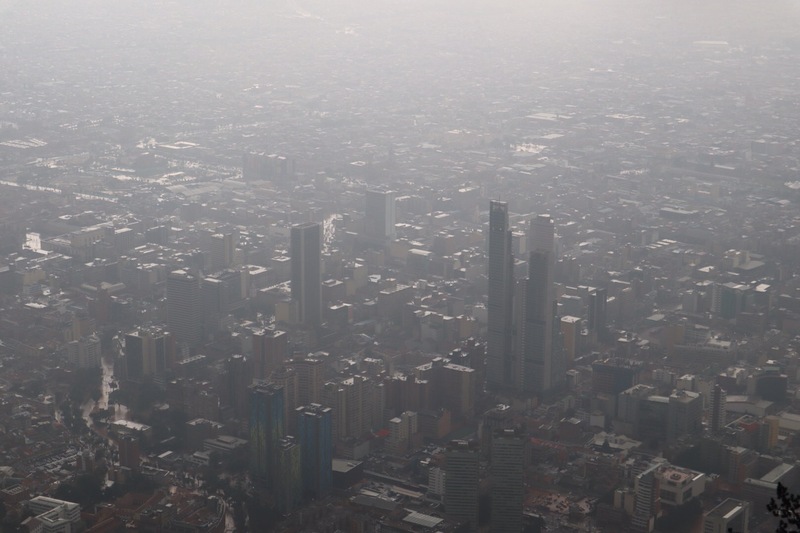 And on a clear day, you can see a panoramic view of Bogota, the third highest capital city in the world, that will take your breath away.